Colleywood / Maryville Junction (CMJ), is a model railroad 4 x 8 foot N-scale DCC layout set in the mid-60's in a fictional place located in the Kettle Moraine area of southern Wisconsin. Click on the images below for enlarged versions and witness the weather change during a typical day. Episode Five: "Kettle Moraine Autumn Excursion" take a ride along with the Colleywood / Maryville Chamber of Commerse in October of 1965 on a throw back Steam Locomotive Excursion train as it goes "beyond the layout" through the use of Chroma Key F/X and travels through the real life scenery of Wisconsin's Kettle Moraine area during autumn peak. Witness the incredible scenery as this N Scale train passes through the "real" fields and forests of southerntern Wisconsin. You even see what it looks like looking through the windows of a real 1890's passenger car during the ride! Colleywood / Maryville Junction - "A Day In The Life" is a nine part video series depicting a typical day in a mythical railroad junction set in the Kettle Moraine area of Southeastern Wisconsin in October of 1965. To view this series from the beginning, watch this playlist on YouTube. As an avid model railroader, I'm hopeful that my grandson will also get involved with the hobby. So far, he has really taken to his "brio" type wooden trains during the past couple of years. He loves building layouts with the track and his most wanted present last Christmas was "more track" to build with. We gave him over 200 pieces in all combinations. He enjoys designing and building his layouts more than actually playing with them! Hmm ... sounds like a future model railroader to me. Now that he's five, he's not quite ready for HO or Lionel yet, so I got him a Wow Toyz battery operated train set, which will serve as a transition from wooden to electric trains, and which you'll see in this time lapse video, performs surprisingly well. He and I recently spent a wonderful Saturday afternoon assembling and conducting our first "operating session" together. Enjoy witnessing the glee of a young boy with a new train set. DCC 101 - It's Easy! 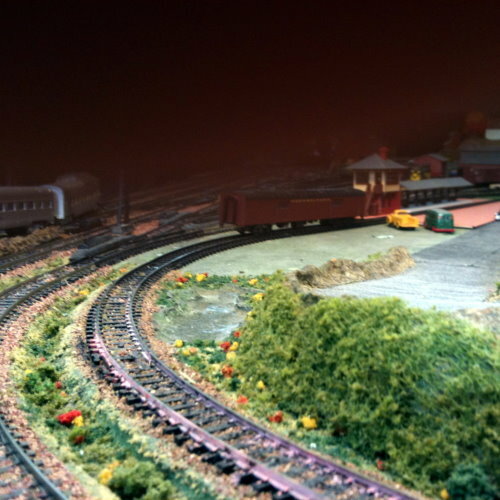 The CMJ layout is powered by one single DCC feeder connection ... No Blocks or Power Districts, Track Bus Wiring, Boosters, Extra Feeders or Soldered Track. It contains 4 main lines, 43 turnouts, 2 Auto Reverse Loops and effectively runs four different multi-locomotive consists, plus yard switching simultaneously ... all from one connection. Check out the video below for the complete story and see for yourself how effectively this layout operates from one simple DCC connection. You'll be amazed! 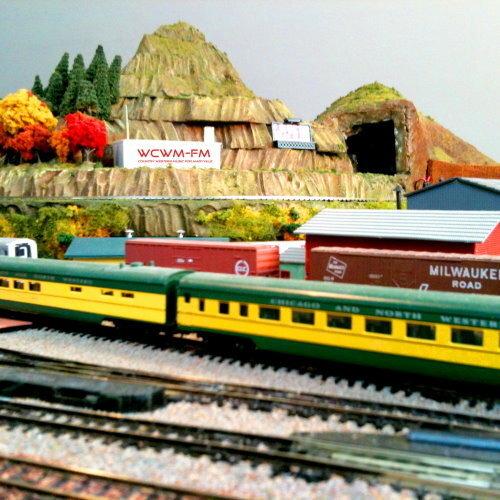 RADIO TRAINS produces videos of N-Scale and O-Scale trains plus documented rides and field trips on Real World trains,and is dedicated to Colleywood / Maryville Junction (CMJ), a model railroad 4 x 8 foot N-scale DCC layout set in the mid-60's in a fictional place located in the Kettle Moraine area of southern Wisconsin. 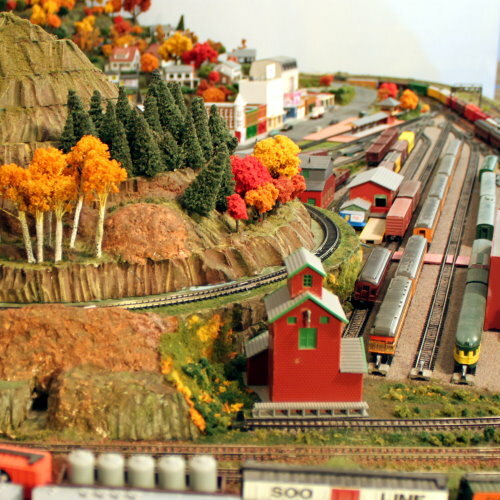 The goal in designing CMJ was to include a main street, a residential area, a switching yard, multi-levels and the ability to operate four individual trains concurrently by one operator, while simultaneously being able to run a fully functional switch yard, all from one single DCC conenction to power the entire layout. 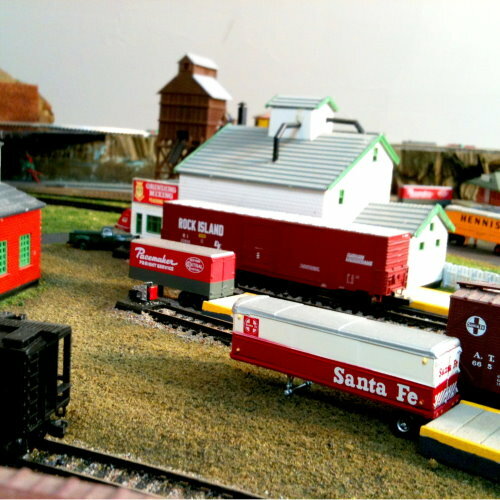 Although I've been a lifelong Lionel-Around-The-Christmas-Tree-Railroader, I'd never given much thought to becoming a "Model Railroader" until I was given the remnants of my son-in-law's N-scale layout which he had inherited from his grandfather. Then, I caught the fever. 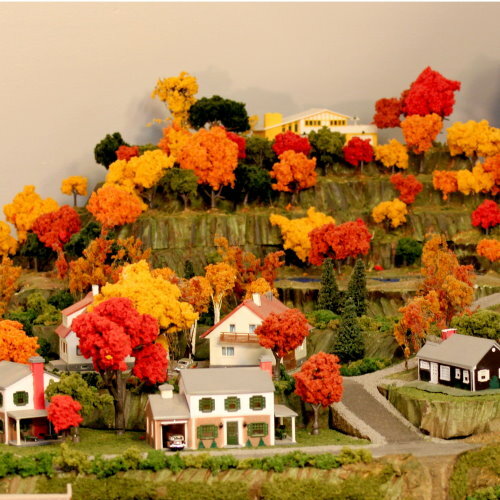 However, my 3rd grade skill level at most tasks required to create a model railroad has made my progress slower than a sea turtle out of water, not to mention I didn't do it the conventional way. Many mistakes were made, wrong decisions implemented and creative shortcuts taken. For the complete story, watch the video here. Radio Trains' journey is just getting underway ... there's more to come so check back soon! © 2016 by RadioTrains.com All Rights Reserved.